These days, more than ever before there are loads of different options for high quality camping gear. This is especially true for tents. Because of advances in lightweight fabrics, metals and waterproofing the type of tents that are on the market compared to 10 or 20 years ago are a fraction of the weight and will keep you far far dryer. Tent sizes seem to be based on people sleeping like sardines without much wiggle room, so, we tent to think that you should buy a tent size for one more than you require. We are two and we find a 3 person tent just right for us. Weight If you are travelling and have to carry around your tent and all your gear with you, every pound counts. So look for a tent that is 1.5 kg. Waterproof Tents are benchmarked by their hydrostatic head. The minimum rating for a tent to be called ‘waterproof’ is 1000mm. 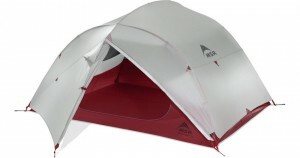 Look for a tent with a rating of 2000mm, and a high rating for the base of the tent is helpful! Assembly If it takes longer than 5-10 minutes to put up your tent, and you are doing this two times on most days, that time will quickly add up and make you aggravated faster than you might think. If you can try and take a tent for a test run, failing that read as many reviews as you can. Storage Think about what you will be bringing on your tour and where you will be keeping it while you sleep. A vestibule that you can stash your bags or even your bike in might be just what you are looking for or overkill. This is the tent we have been using for the past 2 years. 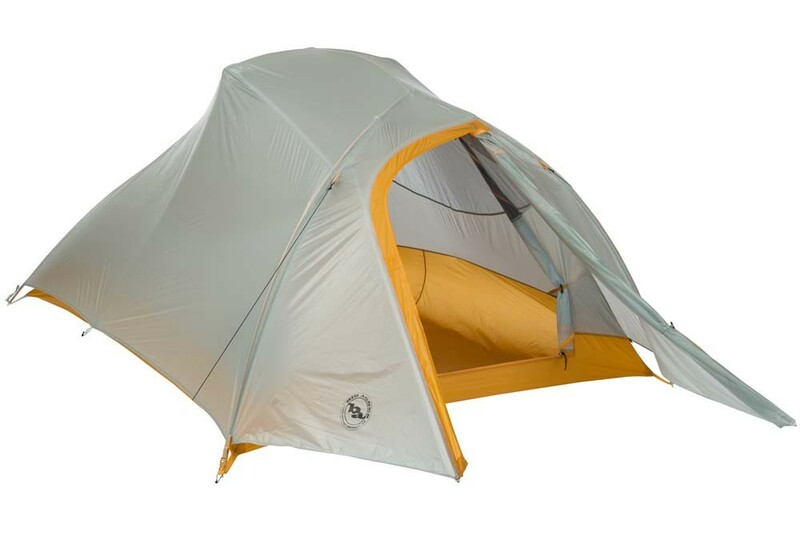 The tent is light, quick to assemble and has just the right amount of space for the two of us. We could do with a bit more vestibule, but otherwise this tent has been great for our needs. See our initial review of how the Fly Creek has stacked up so far on our 2 week adventures to the West Coast of the USA and from Prague to Budapest. 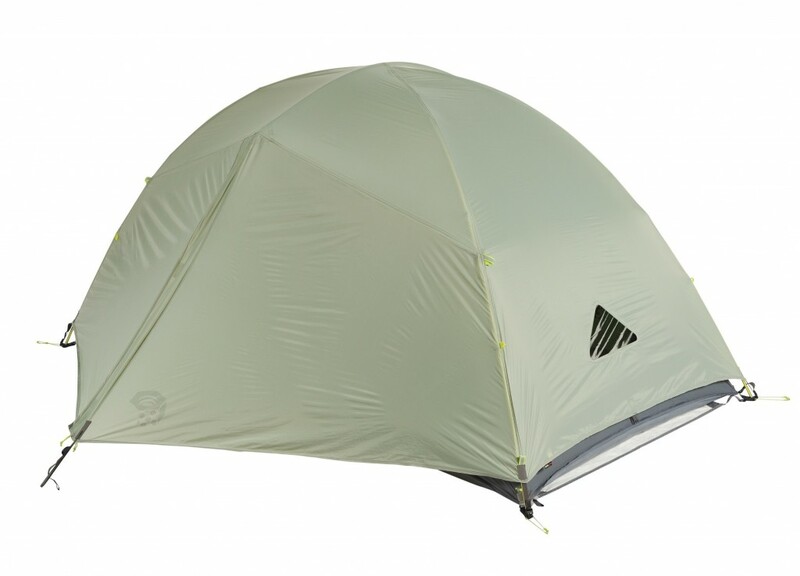 The Skyledge 3 seems like a good all around option for a lightweight tent for touring. With 2 entrances and 2 vestibules the Skyledge has more storage and a bit more versatility over a single entrance tent. A increased floor waterproofing will help keep you dry when things start to get damp! Hilleberg has a strong following among adventurers of all types. 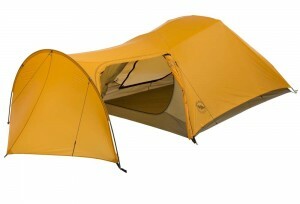 Made in Sweden, these tents are top quality and can easily be spotted by their distinct ‘worm like’ shape. We have never had a chance to test a Hilleberg tent, but would love to test one out first hand. The Kaitum 3 has 2 entrances and vestibules which look to be enough space to stash your gear overnight. 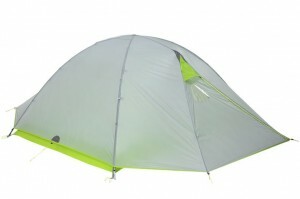 This tent is the heaviest on the list at 3.4kg and the biggest drawback, the price. I needed to include a tent for all you Canucks out there. Mountain Equipment Co-op is as Canadian as maple syrup. The Co-op has been in operation since 1971, and has been producing high quality outdoor equipment since. The latest lightweight 3 man tent made by MEC is the Volt 3, 2 entrances and 2 vestibules with ample space for you and your gear. The volt 3 tops this list with a 10,000mm waterproofing. MSRs Mutha Hubba Tent is the big brotha mutha of the extremely popular Hubba Hubba tent. the NX3 is light weight, has a decent size footprint and increased floor waterproofing. The vestibules seem to be quite tiny, so cramming in all those panniers might be a chore. Following on from our review of the Fly Creek UL3 we stumbled upon the new Slater UL3+. We’re not sure what the + is, but we are envious of this tent whenever we are tripping over our panniers when we get in and out of our tent. The Slater has a massive 2.1m² with a high ceiling, which looks to be more than enough space to stash 1 or 2 or even 10 panniers. Waterproofing on the Slater like the Fly Creek is the lowest on the list. So be sure to get a groundsheet, or make your own! If you have had any expereicenes with any of the tents above, or have a lightweight 3man tent which we should add to our list. Send us a message or add a comment below.